When I visit my parents, my mom goes on a culinary binge creating gluten and dairy free meals. She is always on the lookout, and I often go home with numerous copies of recipes… and a full stomach. 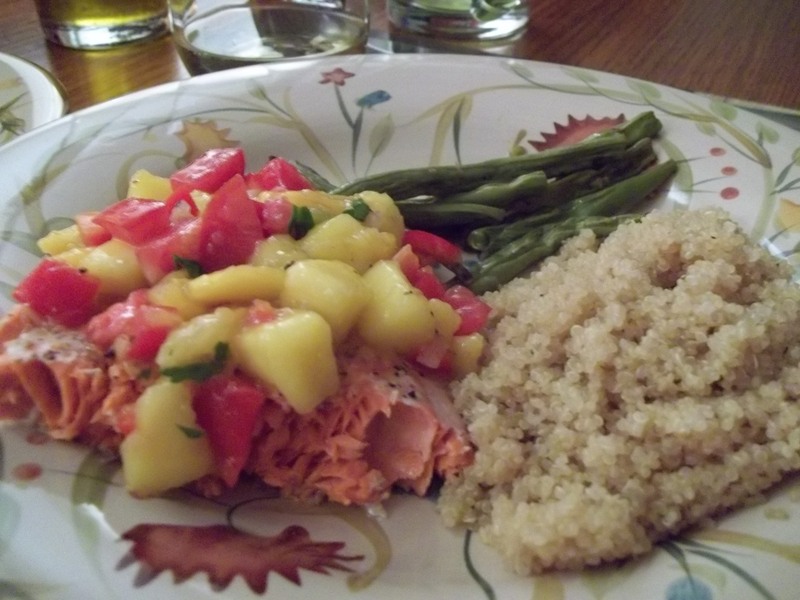 This week, my mom made salmon with summer salsa on top, with roasted green beans and quinoa on the side. We went to the local farmer’s market to get fresh fruits and veggies for the salsa…always the best way to get fresh and less expensive produce. 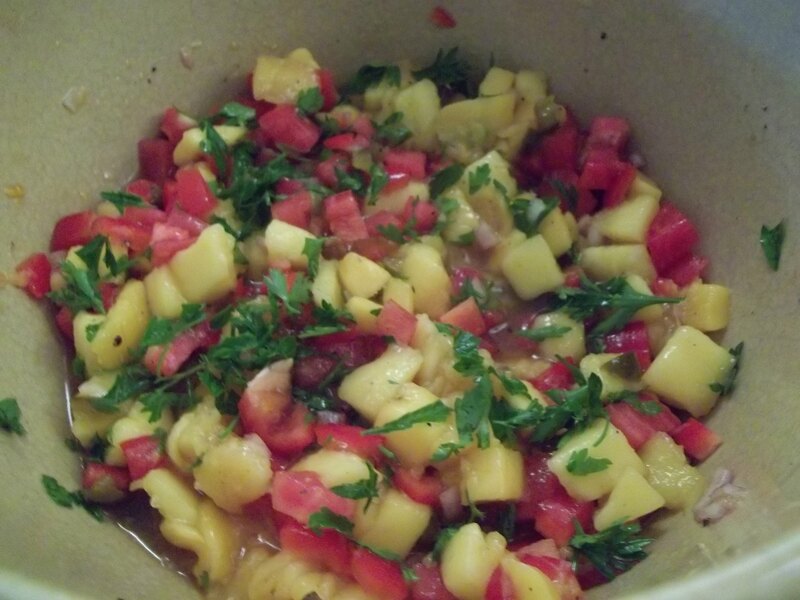 The salsa included chopped mango, red pepper, tomato, jalapenos, shallots, a tablespoon of apricot jam, olive oil, balsamic vinegar, and lime juice. A perfect summer topping. Happy Allergy Free Eating, and talking… go make some salsa!